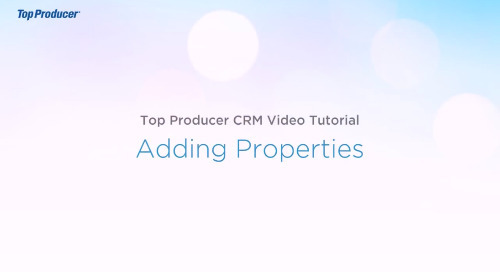 In just over a minute, learn how easy it is to add the leads you receive from your lead provider services into your Top Producer® CRM. 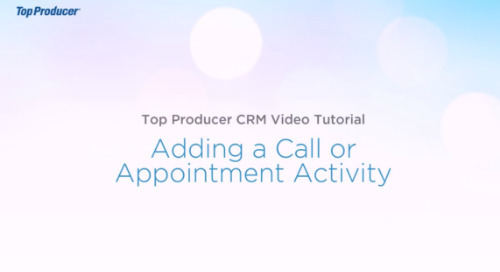 Top Producer makes it easy to schedule your upcoming appointments and calls! 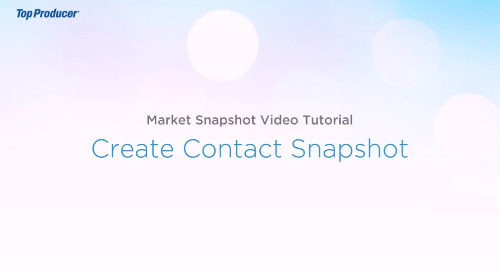 Watch this short video to learn how you can easily add these activities to your schedule. 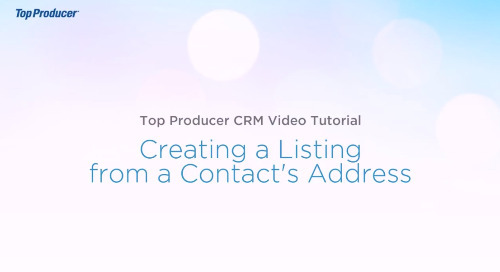 Quickly learn the process of creating a listing in Top Producer using an existing address - in under 2 minutes! 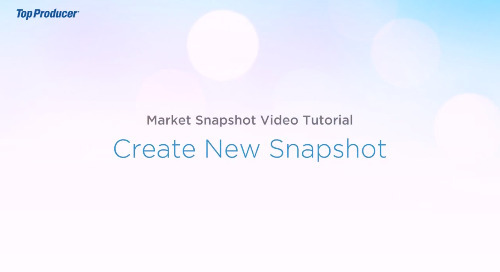 The "Create New Snapshot" feature allows you to quickly enter a new lead into your Top Marketer Database and create a new Market Snapshot for them, all in one easy step. Keep track of your contacts and your level of engagement with them! 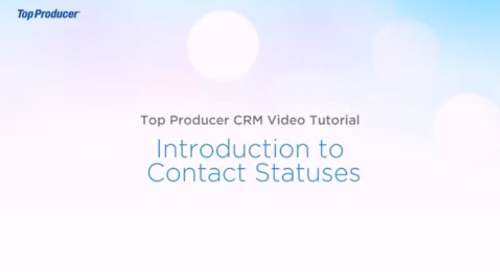 In less than 2 minutes, learn more about the "Contact Status" feature to help with this task. 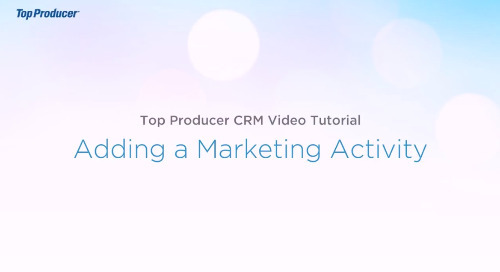 In under 2 minutes, this video will walk you through how to add marketing activities into your Top Producer® CRM. 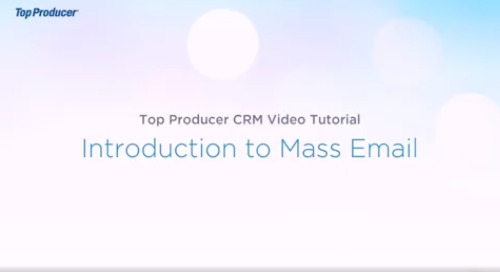 In less than 2 minutes, learn how to add properties to a Contact Record. 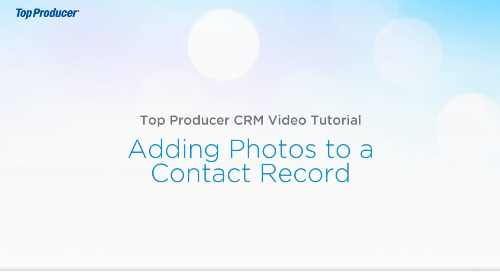 Watch this quick video tutorial to learn how to add photos to a Contact Record in your Top Producer® CRM. 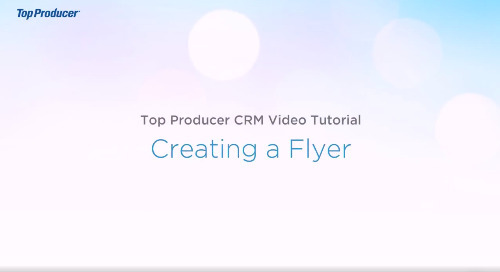 In less than 2 minutes, walk through the easy 3 step process to create a flyer for marketing your listing using the Flyer Wizard in Top Producer® CRM. 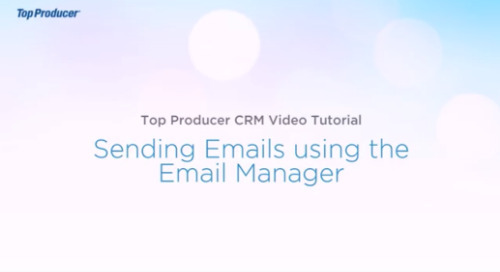 In less than 2 minutes, learn how you can use Top Producer® to send the same email to a group of contacts at the same time.